ODYSSEY to ELSINORE: Our Mother Stella’s Journey of Courage 1933-2013. Our Mother Stella’s Journey of Courage 1933-2013. 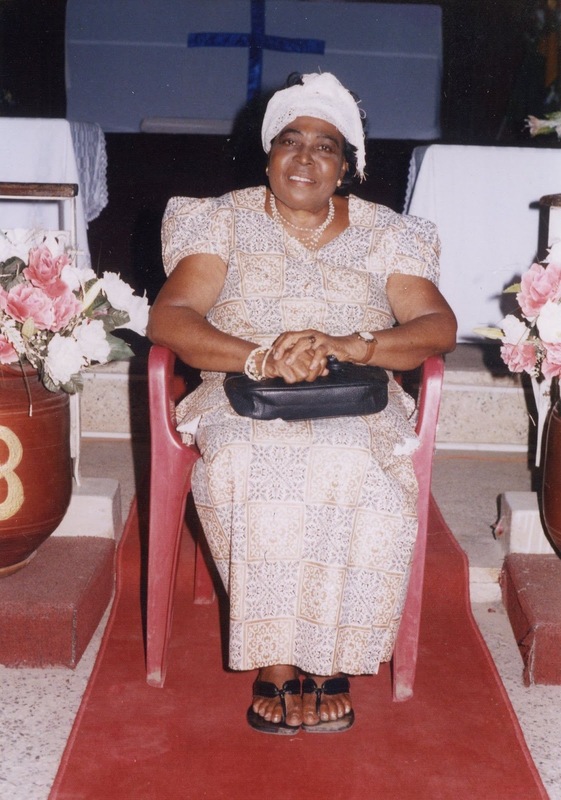 Tribute to our mother – Written and read by Kojo Jantuah. Saturday 20th April 2013. Venue: The Aggrey Memorial AME Zion Church. Mamprobi, Accra. Ghana. I remember the last time I stood in front of this church. It was on a December evening in the 1970s. The sky was filled with loud bursts from fireworks on Christmas Eve. I remember trying to be entertaining by performing somersaults as shepherd in the nativity play. Without a shadow of doubt, our mother played eventful roles to the highest degree with much dramatic effect, like her ancestors who came before her. Our dear elegant mother, grandmother, teacher, headmistress, senior superintendent of schools, humanitarian, musician, diplomat’s wife, part-time beads trader, healer and encourager, undertook journeys of courage, faith, oneness of identity and love for humankind. She was an inspiration to many of us. It is the legacy she left behind. Indeed, she led by example. Mama, as if you could hear us now. One of our earliest memories with you, relates to your warm embrace and protection from impending danger, coming from what we thought were enemy jet-fighters, flying over Tel-Aviv during the six-day Arab-Israeli war of June 1967. Those war planes turned out to be the Israeli air-force, returning from their aerial bombardment of enemy forces. Our father was then on his way back from hospital, where he had undergone a minor surgical operation. We also remember the good old days in this church. My younger brothers Kweku and Bob, cousin Noel, and me, used to shy away in the pews while you stood up and sang your electrifying solos to the congregation. Those were the days of the esteemed African-American Bishops Ruben Speaks, Bishop, Reverends Asante, the Zormelos, Fiawoo and Dogbe-Gakpetor, all of blessed memory. 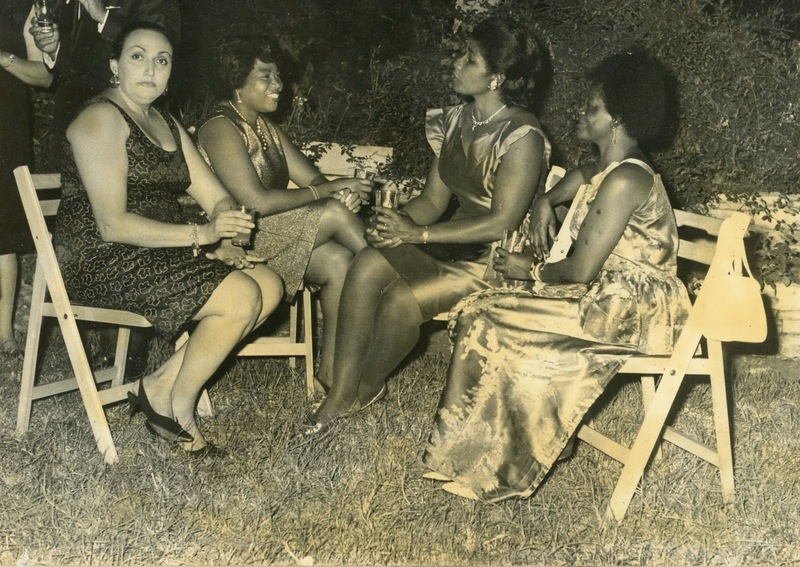 One must not forget the ladies Madam Lucy Seidel, our grandmother Felicia Doe-Bruce and others. According to the book of Ecclesiastes, there’s a time for everything, a time to be born, and a time to die. 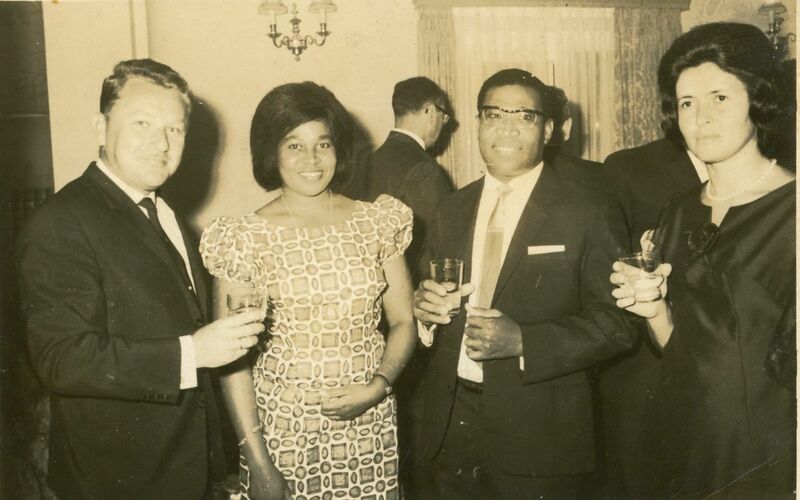 Soon after the family returned from the diplomatic tour of duty in Tel-Aviv, the ethnically divisive ‘Apollo 568’ struck at the heart of the Ghanaian Foreign Service. Our father was made redundant. The family’s fortune tumbled. Mama Stella adapted truly to her maiden name Blagogee admirably. We tightened our belts – ‘Mie bla-go-ji’. I found myself as a pupil at the top of his year group, shifted from St Anthony’s preparatory school to ‘Cyto’ - the nickname for the public school system. Undoubtedly, I learnt some down-to-earth values that has served me well. Mama had launched her own expeditions from Keta to Agogo and Winneba for teacher training. 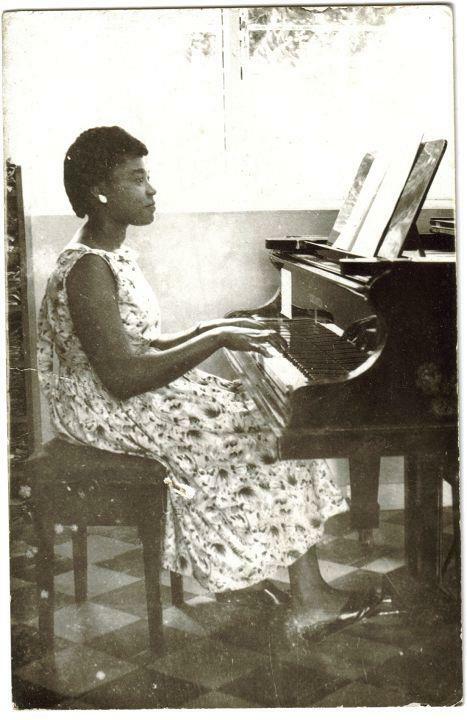 After teaching stints at Gbadzeme and the Keta Bremen mission school, Mama ventured into the heartland of Ashanti where she taught at the prestigious Mmofraturo Girls’ School. She returned to the coast having made many friends, young and old. We are truly grateful to be graced with their presence here today. Of course, she also returned with me. When our beloved Mama was beset by physical pain, due to injuries sustained in a near-fatal vehicle accident in 1993 that left her in a coma, coupled with profound heartache due to living in an extremely challenging domestic environment, she remained stoic, and exhibited the exemplary courage of a saint. She staged come-back after come-back and made it to the ripe old age of 80. When some of us remained frustrated and hopeless in dire straits, Mama's faith never faltered until the end. 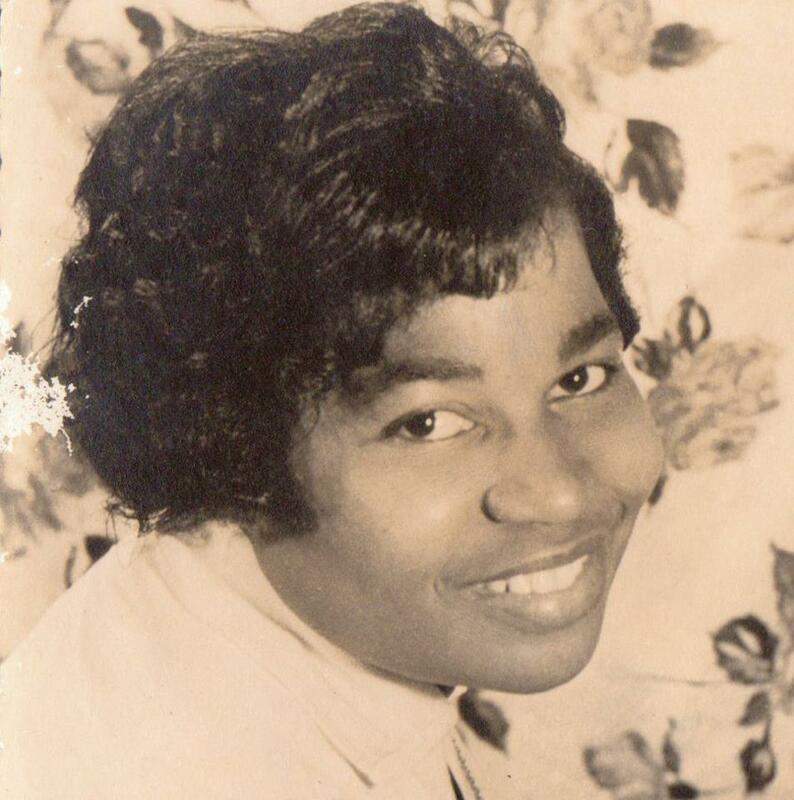 She would say to me over the telephone in her pain "Not until the bones are rotten!” Mama never, never, never quit. We, her three sons undertook journeys in our own unique ways. Perhaps, we took things a bit too far. We regret not being physically present with you before you made your transition to meet your maker. However, we were always with you in spirit. In your last days, you were pleased to have the attention of carers who had themselves undertaken heroic journeys. We are most grateful to the friends and family members at home and abroad who stuck by you through thick and thin. Your courage was unsurpassed. One of such carers was a woman of courage. A returnee from working in Libya who had undertaken the arduous journey across the Sahara desert. She happened to be a niece of the late courageous soldier and politician who once belonged to this congregation. I found it interesting. Because I had also trekked on that road less travelled and beyond at the age of 21 years at the second attempt. I had travelled by road to the then Colonel Gaddafi’s Libya and Germany across the Sahara desert partly on barefoot. Mama prayed with me before I set off on that life changing journey, of trekking over terrain where enslaved Africans had been transported to the Mediterranean for centuries. At the funeral in 1983 of our towering grandfather nicknamed 'Giant' by her younger brother Dr George Blagogee and herself? I had been curious about the multitude of light-complexioned Blagogee family members who had gathered at Keta. Mama the teacher informed me about her grandmother Augustine Ablewoga Svedstrup and her Danish heritage. I had a strong feeling then, that I will meet Danish relatives one day in Denmark. Svedstrup and Holm before him had been Commandants of fort Prinsensten at Keta. In a bid to enforce the abolition of the abominable Slave trade and Slavery; Svedstrup engaged in battles with Portuguese Slave traders such as Don Jose Mora and Geraldo de Lima and their native African cohorts. Svedstrup arrested the African King Adum and captured his accomplice Sebah Akim at Osu-Christiansborg for taking the lives of two young sons of a rival chief in a fetish ceremony. They were exiled to the citadel in Copenhagen, Denmark for several years. 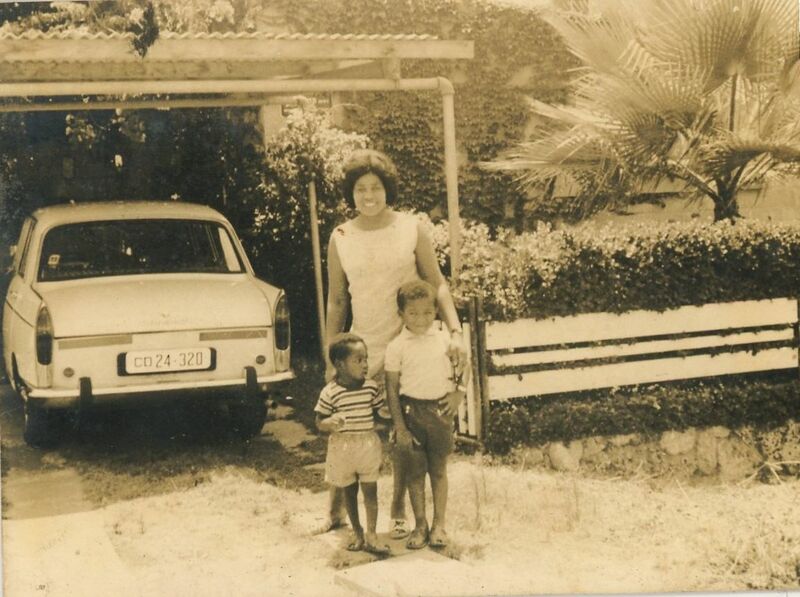 Mama, you supported my Human rights advocacy and Reconciliation work in Europe and America in many ways. Just as you had trained me at home by making me write up your school notes when you were headmistress, or chop Okra for the preparation of Tuesday's ‘Akple’ and Okra soup dinner. 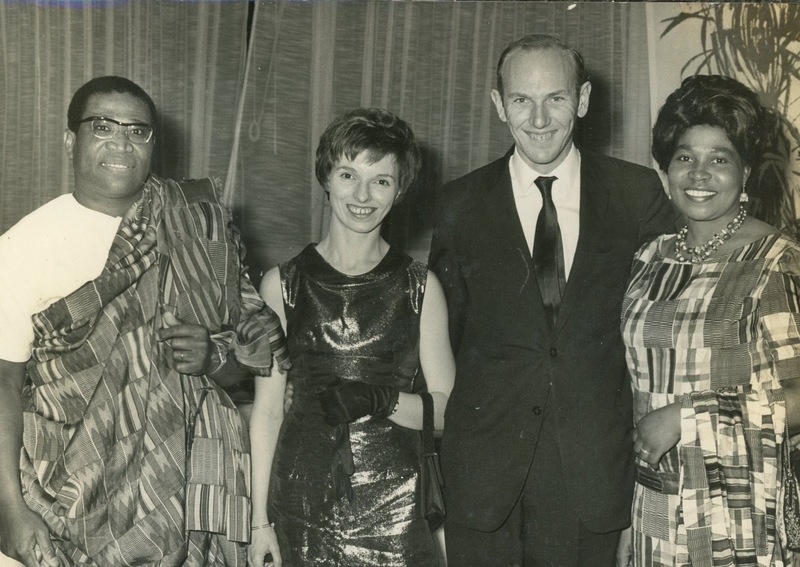 You sent me Ghanaian newspaper cuttings about events such as Emancipation day and the Joseph project. Sometimes you would answer the phone with the question "Is that Obama?” I am sure some of you are thinking - "Monkey no fine but im mother like am!" You where astute in contributing the oral tradition to the book “African Voices of the Atlantic Slave Trade: Beyond the Silence and the Shame,” by the Harvard educated author Anne C. Bailey. In what became our last conversation before you passed, I asked you over the telephone from London if we could recite the Lord's Prayer together. We did, and I also prayed for you like I had never prayed before. On the morning that I received the dreaded phone call from Uncle Henry, I had woken up around 4 am thinking about you. I had drafted notes about a workshop program on Identity and Voice and wrote that it was dedicated to your memory. Again, I was following orders from the headmistress. Obviously, you staged another come-back! Like the Phoenix rising out of the ashes, your spirit lives on with a purpose. Indeed, you overcame against all odds. So I heard you Mama, we heard you! As I heard the voice of your ancestors, I heard you! Our real identity is found in Oneness. You demonstrated often that we must treat others as we would like to be treated. You were right! Forgiveness and Reconciliation is the key to peace. We shall live in peace someday-. We heard you Mama Stella, our guiding light and star! We heard you! That's a great tribute. Always impressed with your waiting. Wished the dead could hear. i had to returns Ghana to repeat my treatment as cancer was spreading. I've done 3 cycles another 3 remains. Just being positive and strongly convinced GOD will see me through. Good luck in the book launch.